Barnsley is a former industrial town located halfway between Leeds and Sheffield in the county of South Yorkshire in the North of England. It sits in the wider metropolitan Borough of Barnsley. Figures published in 2014 by property listings site Zoopla revealed that Barnsley saw the fourth highest growth in house prices in the UK in 2013. The increase of 8.7% across the year was higher than many locations renowned for their property value growth, including Cardiff, Glasgow and York. Barnsley is an area benefitting enormously from regeneration finance, with many projects - such as the Barnsley Interchange Transport Hub - already completed. 2016 saw the commencement of a new phase of regeneration focused on Barnsley town centre. With £50+ million earmarked for just the first stage alone, the town is on the up and property demand looks set to remain high. Barnsley was one of the original British coalmining towns and wire, linen and glass making were also major industries here. Now, the town has moved towards a service economy and is home to some high profile UK business names, from the retailer ASOS, to Europe Premier Foods, which is the largest cake bakery in Europe. One reason for its popularity is accessibility – Barnsley is just off the M1, a major north-south motorway that connects Leeds to London. Journey time between Barnsley and London is around 3.5 hours, the same driving time as a trip from Barnsley to Cardiff. Most recent census data puts the population of Barnsley at around 231,200. The city benefits from the Northern Powerhouse, a government initiative regenerating the north of England. The UK’s third and fourth largest cities, Leeds and Sheffield, are major beneficiaries of finance from this initiative and, as Barnsley is positioned between the two, it has become a hot spot for commuters exploiting the opportunities in these cities. 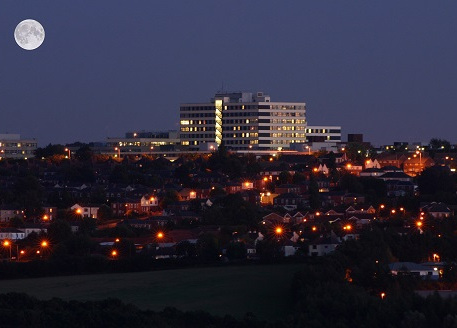 Students make up around 13% of the local population in Barnsley, which continues to grow. As house prices remain below the national average in Barnsley, property here offers better returns for buy-to-let investors, as well as homeowners.